4thway has been approved by Amazon to work in conjunction with its customers and offer Seller Fulfilled Prime (SFP). In this article, we are going to explain the entire SFP program and how it could really help boost your sales. 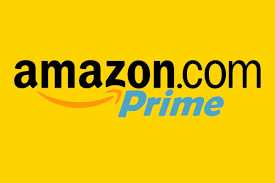 The program flags qualifying products as eligible for Amazon Prime 2-day delivery. SFP sellers then create shipping labels from Amazon using the MWS BuyShipping API, and ship straight from 4thway. Switching to SFP has several advantages. First and foremost, it offers immediate access to 47 million Prime subscribers. Nearly half of all US households subscribe to Prime, they have a higher average household income than other Amazon customers. In fact, CNBC reports, Prime subscribers spend more in their first year than non-Prime members. Additionally, statistics show that they spend more and more with each new subscription. Another reason sellers can’t resist switching to Prime is that they enjoy the same Buy Box privileges as FBA sellers do. This means you are able to compete with other sellers or distributors selling your products. Being able to leverage Amazon’s negotiated shipping rates on products is a welcomed change considering the dimensional weight charges that came into effect recently—and will likely go up again in the future. Using the ‘ship by region’ feature, where items flagged as Prime-eligible by the seller are only shown as available for Prime. That all sounds great but when it comes to disadvantages, one is that you have only two business days from the moment a returned item reaches your warehouse to issue a refund—rather than the 5-day window you get for a non-Prime order. Here is the biggest caveat, the only way to get approved for SFP is if you meet Amazon’s performance metrics. If your account metrics drop, your eligibility for Prime stops. It’s possible to have it one day and lose it the next. If you are going to offer Prime and absorb the shipping costs, you’ll need to understand the fiscal implications. Do some calculations and figure out what your average shipping cost is. Then adjust your price upward to protect your pre-prime margins. Here is something to remember, a recent study found that 9 out of 10 consumers say free shipping is the number one incentive to shop online more. Thus, raising your prices and offering free shipping could very well drive more sales than lowering your price and charging to send that goodies box separately. What Happens When You Lose Your Privilege? If Amazon slaps you for a violation of you fall below the predefined Prime metrics then you need to wait at least one week after you’ve restored your metrics before you can regain it. Most everything that is tracked by Amazon. You can login to seller central and review your Amazon dashboard for more information about your metrics—which change daily. Keep you metrics in order and talk to your 4thway customer service rep about adding this service to your account.